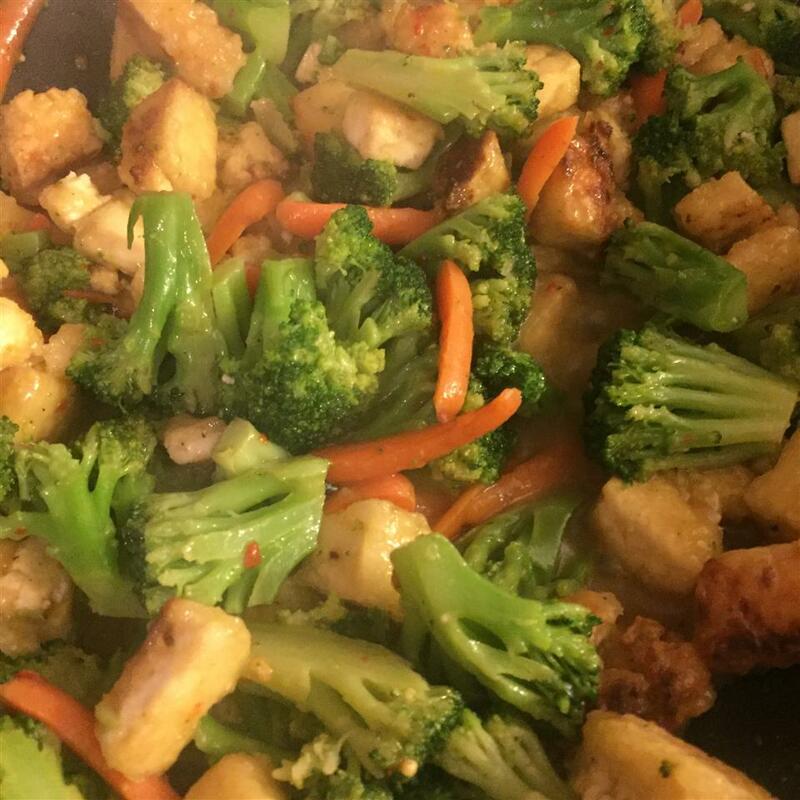 When I get a craving for orange beef, I make up this tofu stir-fry! 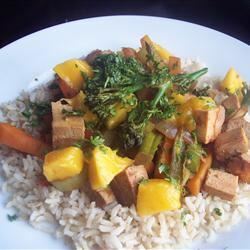 Pieces of firm tofu in a mildly spicy orange sauce. 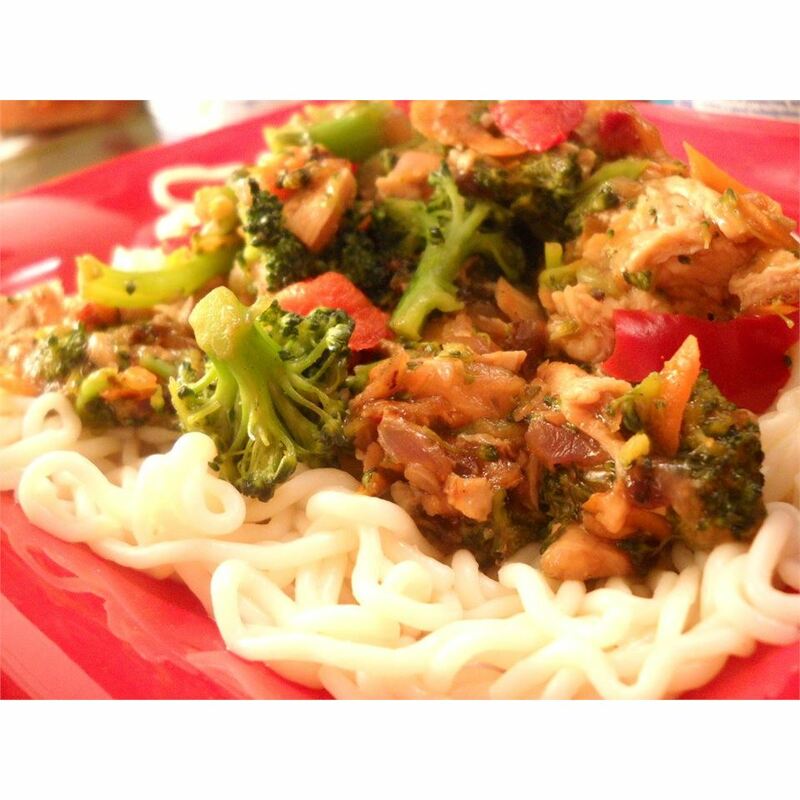 Serve over rice noodles, and use any vegetables you like! Heat 1/4 cup oil in a wok over medium-high heat. 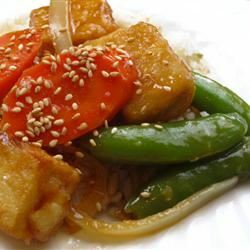 Place the 1/4 cup cornstarch in a dish; press tofu slices in the cornstarch to coat on all sides. 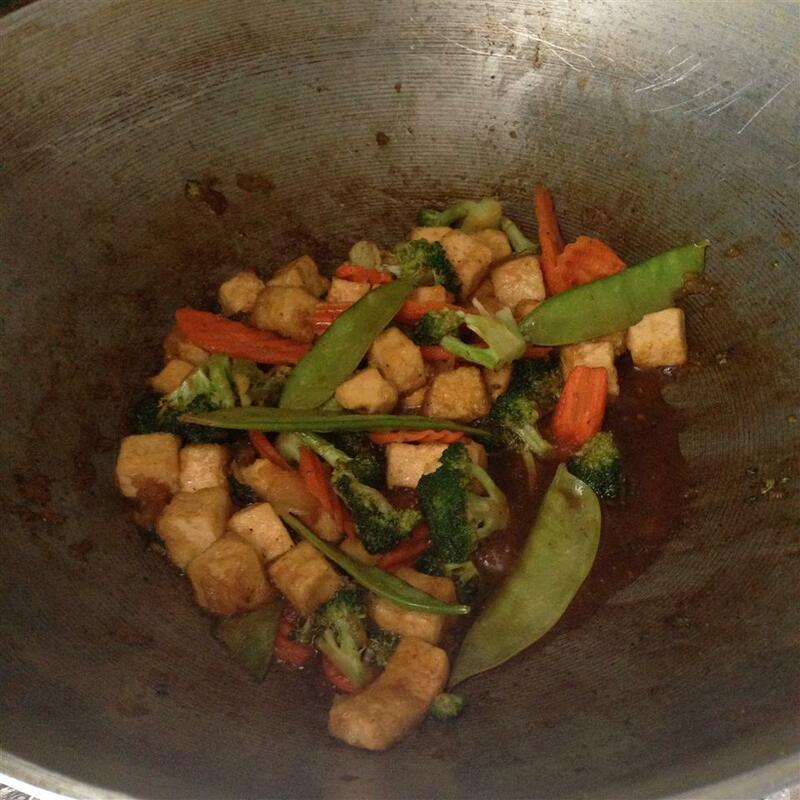 Stir-fry in the wok 5 minutes, or until golden brown on all sides. 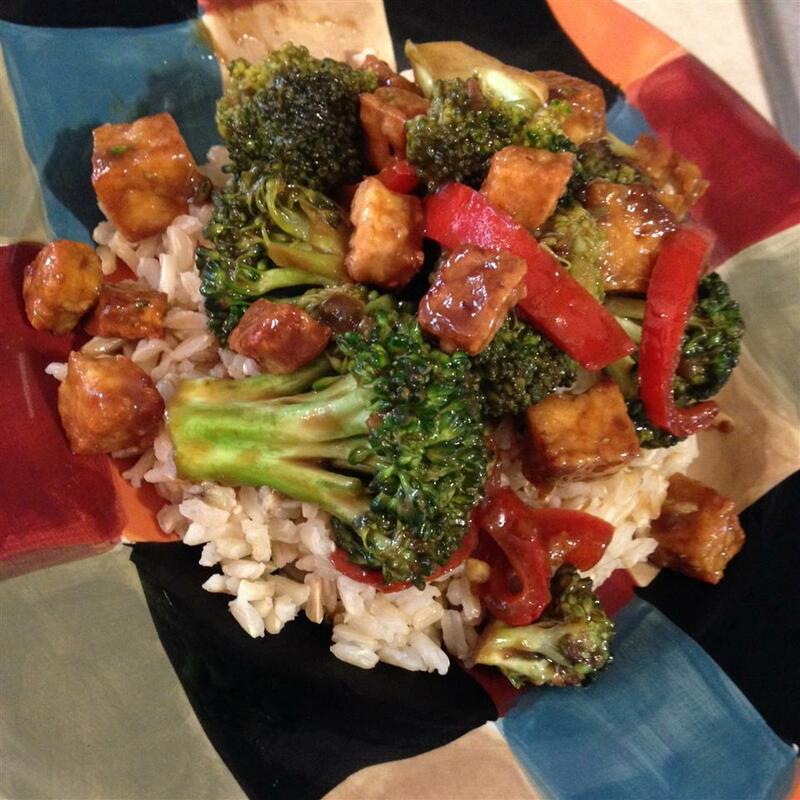 Drain tofu on paper towels. Allow wok to cool, and wipe clean. In a bowl, mix the soy sauce, orange juice, water, sugar, chili paste, and cornstarch until smooth. 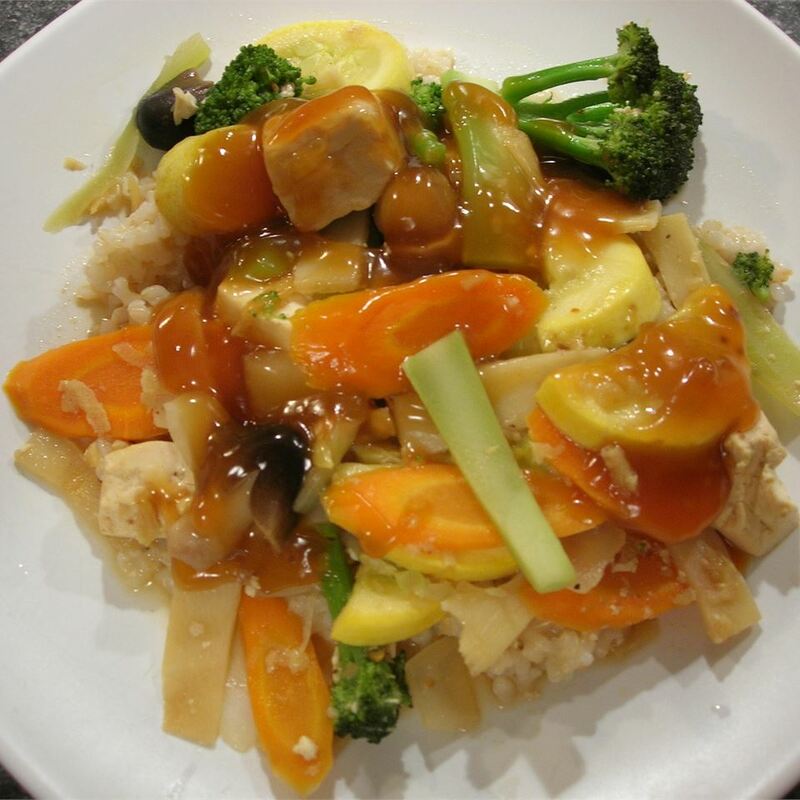 Heat the remaining 1 tablespoon oil in the wok, and stir-fry the carrots until tender. 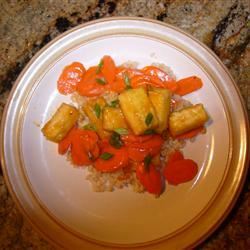 Form a well in the center of the carrots, and pour in the sauce. Bring sauce to a boil. 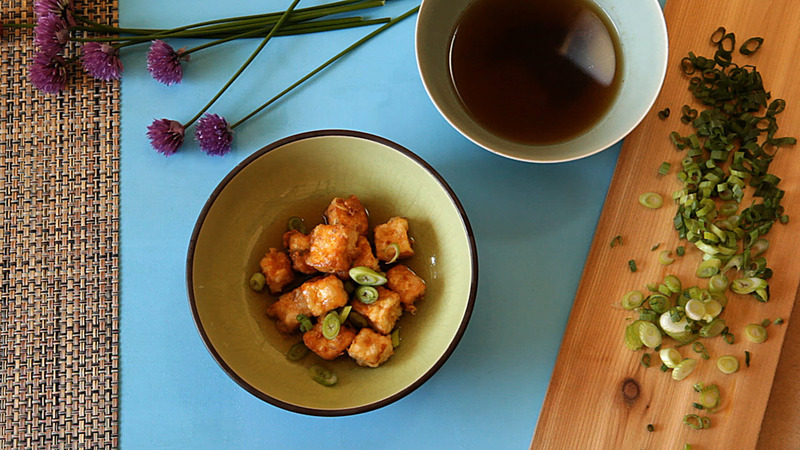 Mix tofu into the wok, and continue cooking until coated with the sauce. THis was absolutely delicous! Dont skimp on the cornstarch used to batter the tofu slices. You may need a little more than 1/4 cup. 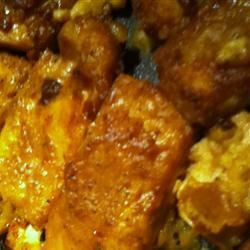 Make sure tofu is not dripping wet when you batter it or it will turn the cornstarch from a powder into liquid. My supermarket did not have chili paste so I used tobasco saude and a little chili powder. Next time I will use the chili paste gotta go to the oriental market to get that. 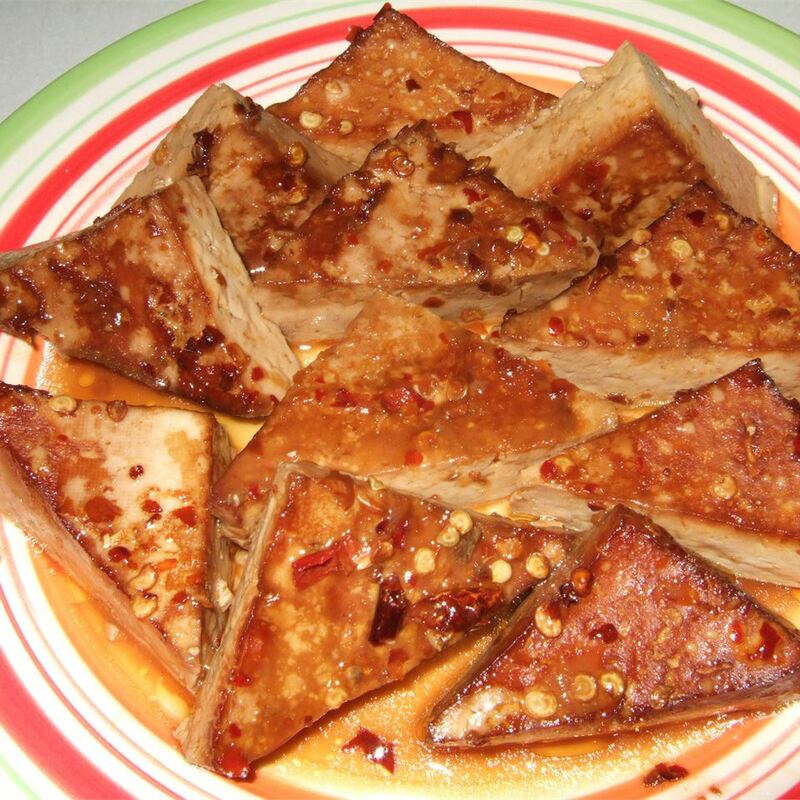 I recommend that you split the tofu into 2 portions and then fry them one section at a time. 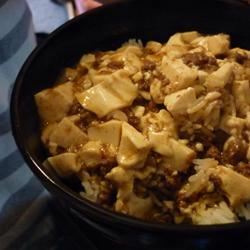 This makes it much easier to manage turning the tofu over to brown on both sides. Took me about 10 minutes per side. I used fresh mushrooms and brocoli instead of the carrots. I think you can use any vegetable you want just eye ball the right amount volume wise which is easy to do once you see the amount of sauce. Defiantely double the amount of sauce. Yumskers!!! I&apos;m sorry! I don&apos;t know if it is just me but I could not handle the taste of sauce. For me the orange sauce tasted just very strange. Not inedible but just a bit odd. I&apos;m sure it suits other people&apos;s taste buds but mine were a bit freaked out! Orange should not go in Asian style cooking! 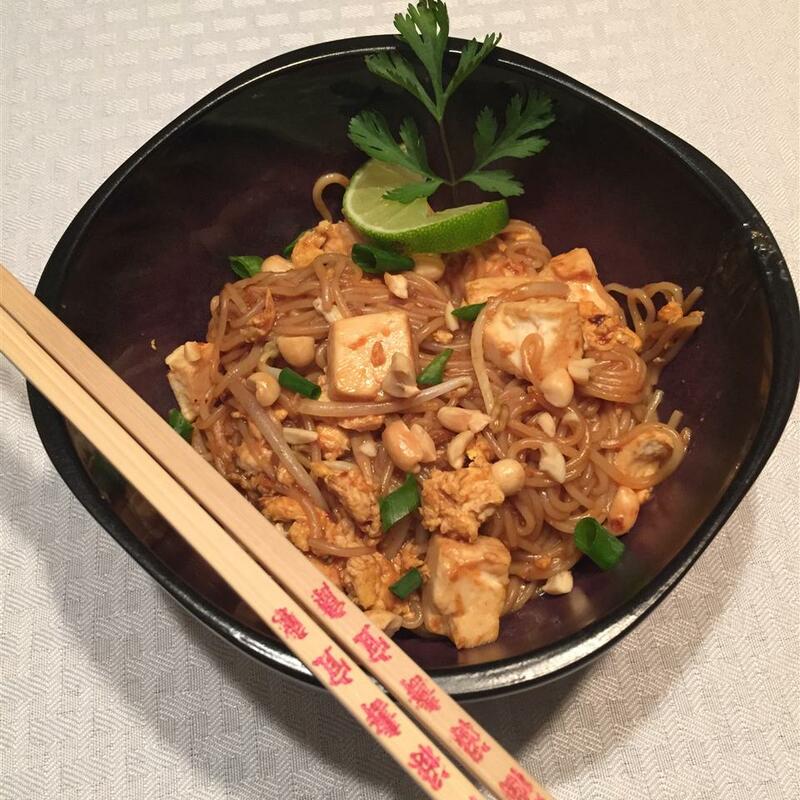 I made some mods to this recipe for it to be more healthy and still yummy. First I stirfried a bunch of veggies I used zucchini broccoli red/green pepper onion garlic mushrooms. 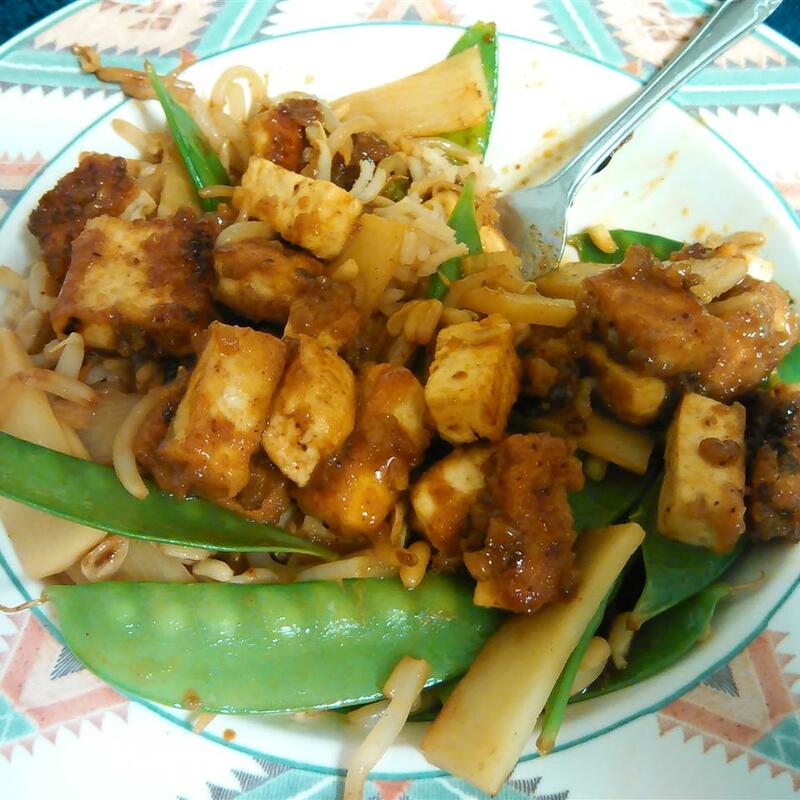 Then I added in the strips of tofu (skipped the corn starching step just threw it in plain) and stir fried that in with a splash of soy sauce and spoon of chili garlic sauce and salt and pep to taste. In a separate pot I made the orange sauce I did NOT add in sugar however I did add in a 3 caps of white vinegar. I also mixed the cornstarch in the warm water and added it in to oj/soy sauce/vinegar mixture when it came to a boil. 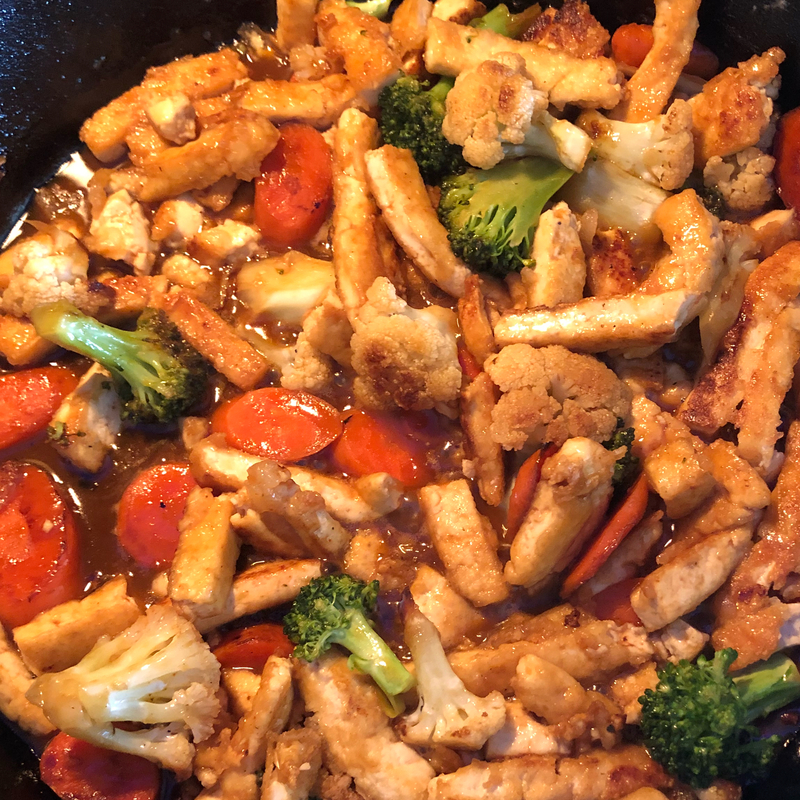 After adding in the cornstarch I let the sauce simmer for a couple of minutes and then I added it to the tofu and veggies. 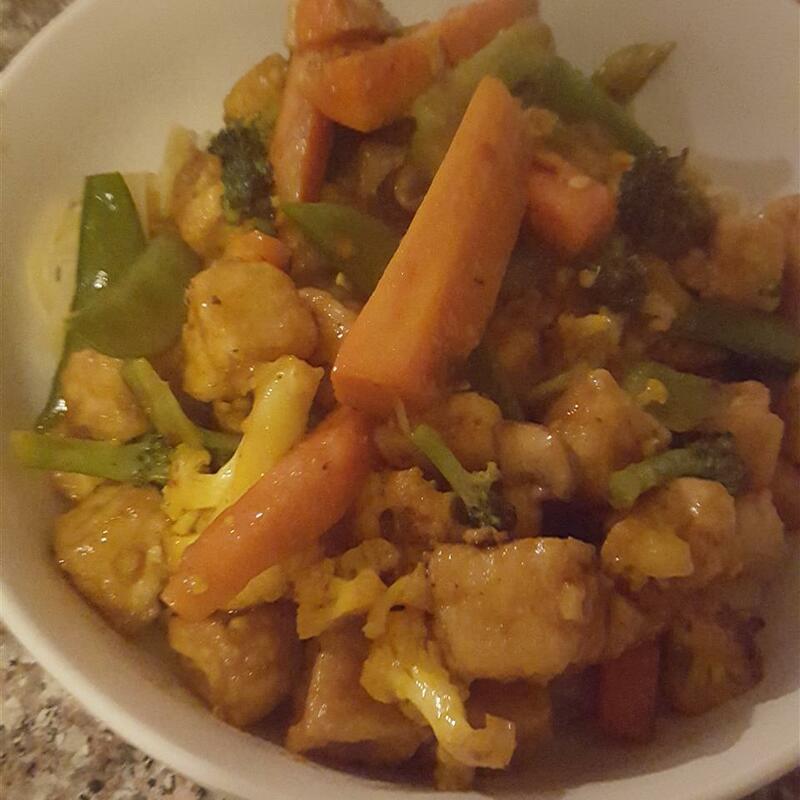 Served with some brown rice this was an relatively easy and healthy dinner will make it again. 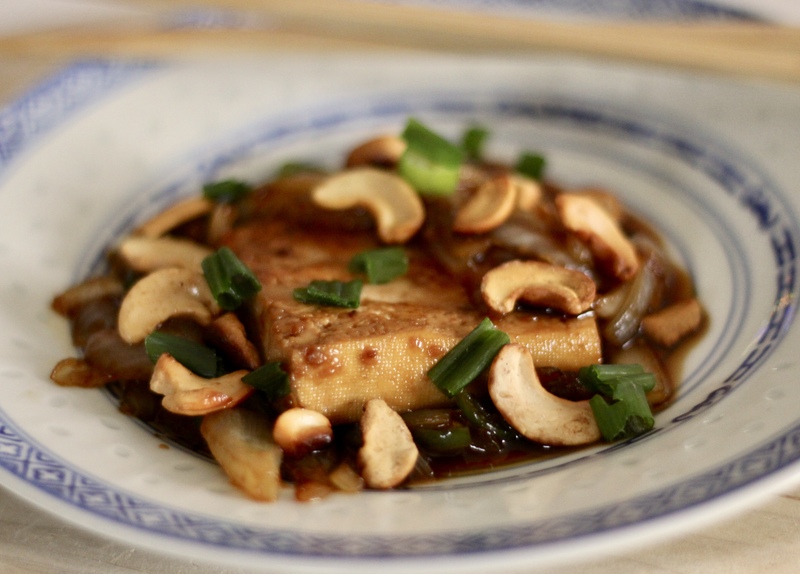 This is sure to please even tofu skeptics. It&apos;s very good but not great. The cooking time is a little off. 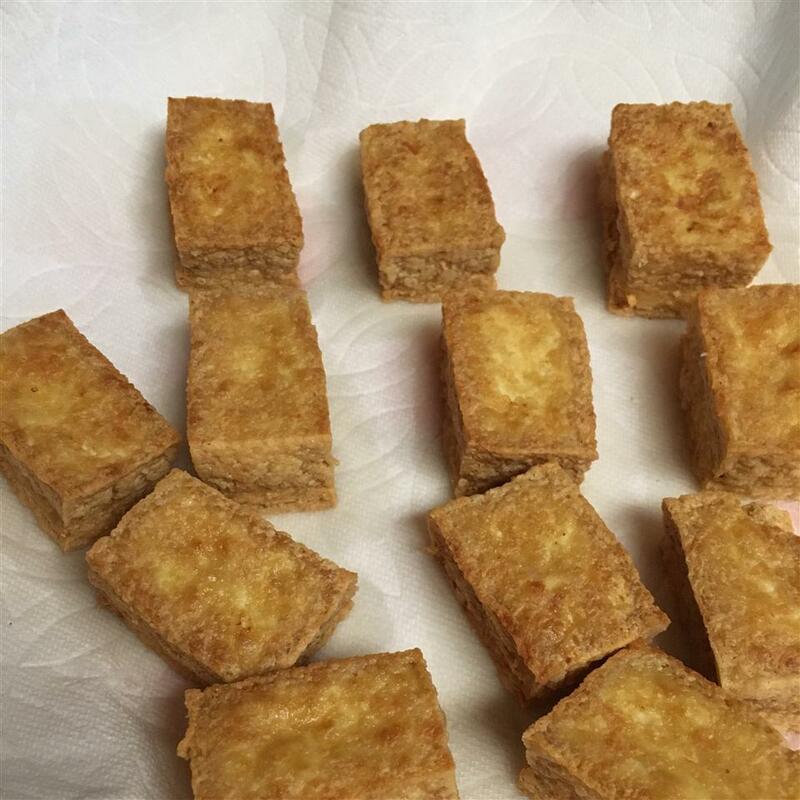 My tofu slices were about a 1/2 inch thick and with a standard wok it took at least 20 - 25 minutes to fry it all. The sauce took me about 20 minuts to make as well. I added chopped red pepper which added additional crunch color and sweetness. Since I didn&apos;t have chili paste I used a tablespoon of sweet chili sauce. I also added 2 dried diced red chili peppers since other reviewers said the sauce wasn&apos;t spicy enough but it was too HOT so next time I&apos;ll just use one. I used about double the corn starch since I like the sauce thicker. In addition I would definitely recommend doubling the sauce because it is not enough to cover all of the tofu plus rice noodles. 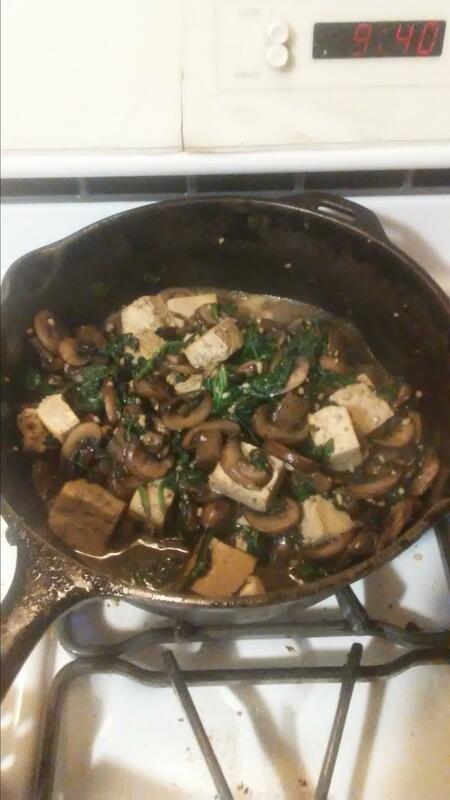 I would recommend not putting the tofu back into the wok. 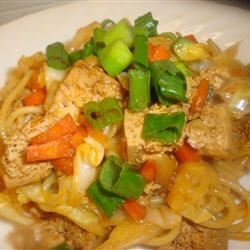 If you just place tofu slices on top of the rice noodles and spoon the sauce over the top the tofu stays nice and crunchy. Finally I served this with some fresh pineapple on the side which really complemented the dish quite nicely. This was absolutely incredible! It is now a staple. 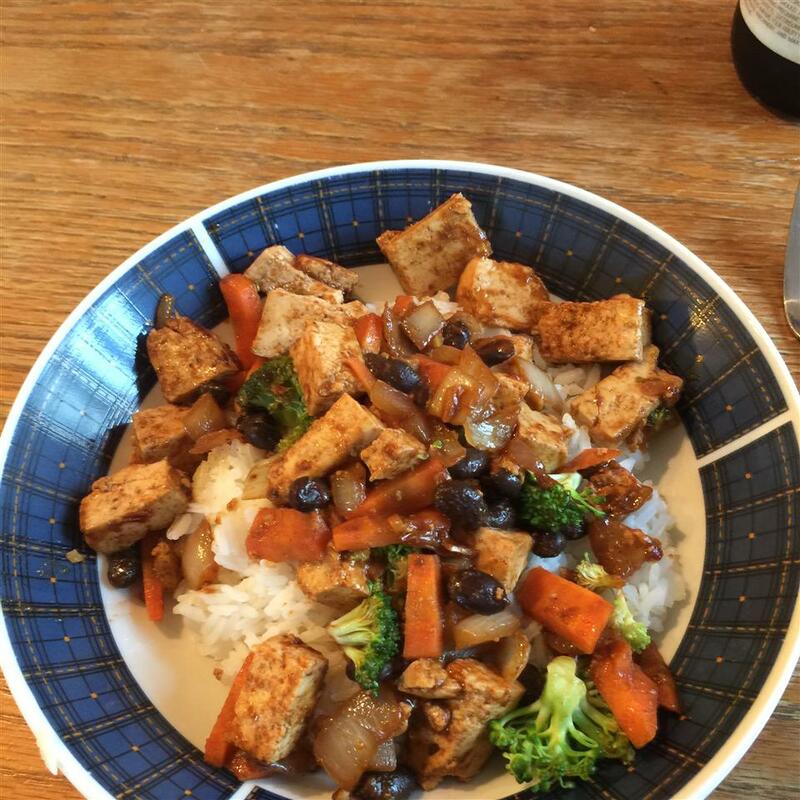 My only changes were: added one chopped green pepper and I froze the tofu for about 3 days (it seems to give it a &apos;meatier&apos; texture). This orange sauce was delicious! 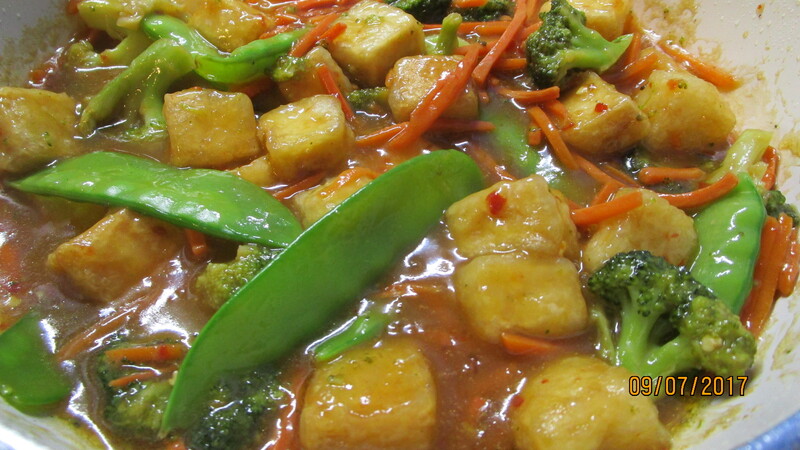 I substituted Sriracha hot sauce for the chili paste and used different veggies. The only change I will make next time is to add more cornstarch to the sauce as I like a thicker sauce. 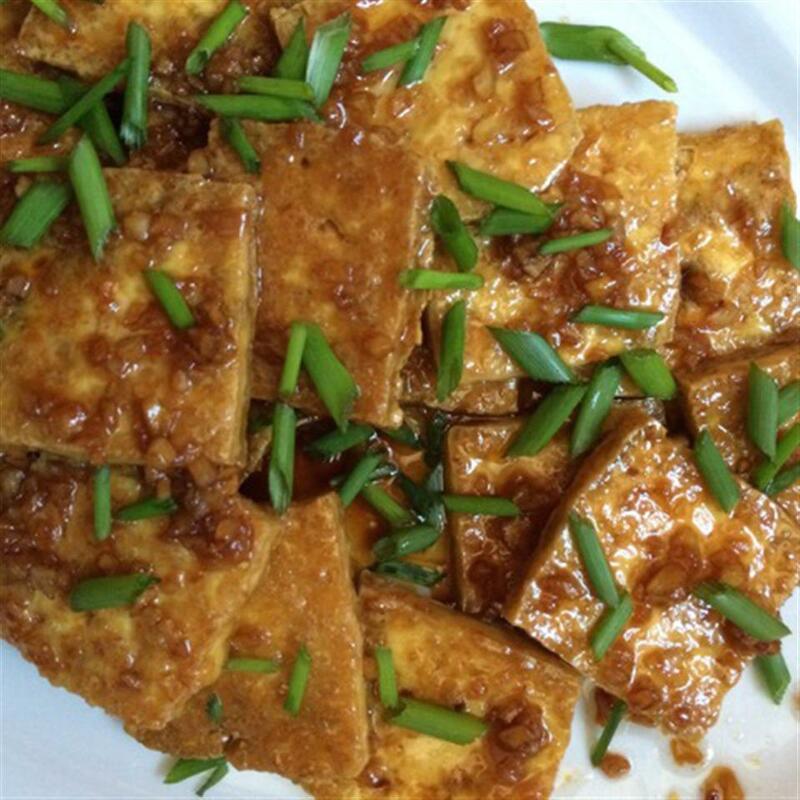 Also if you like your tofu crunch you might want to serve the sauce on the side. Thanks for the yummy recipe. I loved this sauce! I doubled the sauce though and made the following changes: I omitted the tofu completely and cooked with chicken instead. I also added onions garlic and sweet red peppers. Instead of chili paste I chopped a chili pepper and fried it up with the rest of the veggies. Beautiful flavour! 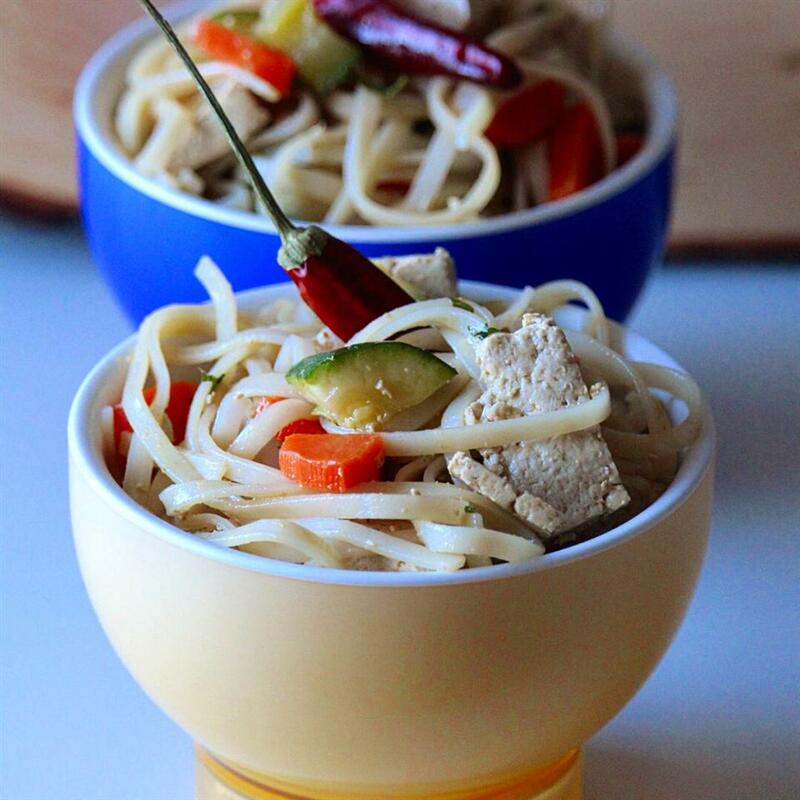 I used shaghai noodles which really brought out the flavour. So even though I changed the recipe around a bit it was fantastic and I give it 5 stars for the sauce and the adaptability. YUM! I did what other reviewers suggested made extra sauce and added more veggies. Addictive! Very easy and truly delicious. 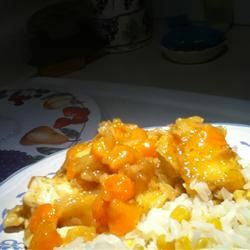 I used orange juice concentrate for more orange flavour 1/2 can. 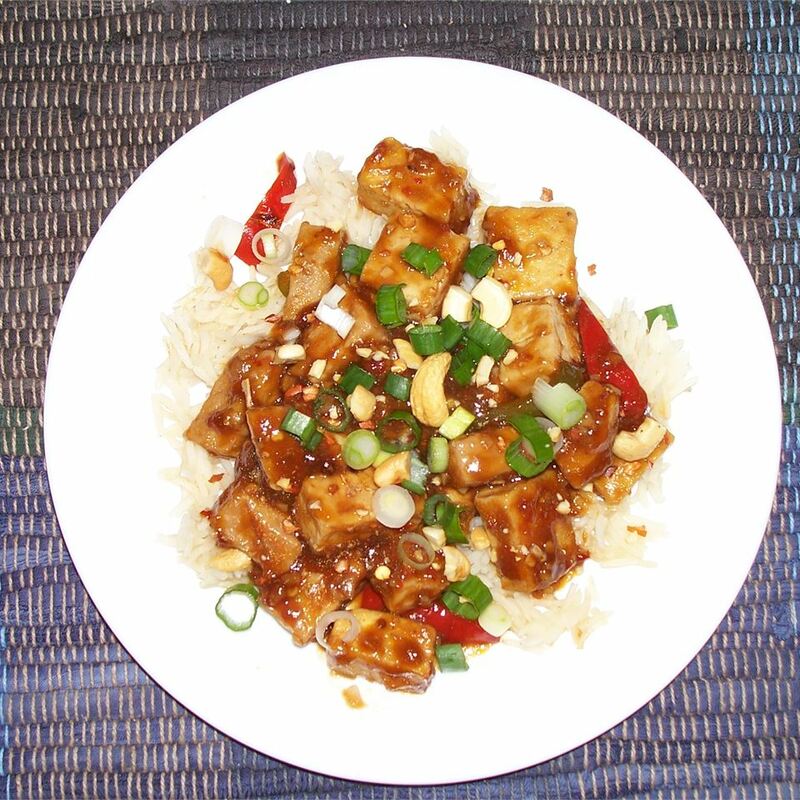 My family has the tofu lovers and haters but this recipe was so fabulous everyone loved it! I highly recommend this delicious recipe. My husband and I were not fans of this recipe. 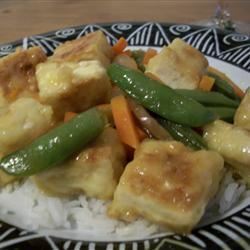 To me the tofu was like having chunks of belgian waffles in the stir fry... we picked it out and ate the rest which was alright.